It is far too easy to look at outward appearances, and miss the heart of the matter. The Hebrew prophet Samuel, before choosing King David, was told: “People look at the outward appearances but God looks at the heart.” In North America, we can easily be three thousand miles wide and one inch deep. We can easily be swallowed by the latest cultural fad, and never discover who we really are. I love going to the gym, and keeping healthy. But as mentioned in my recent book Restoring Health, it can’t just be about the outer appearances. 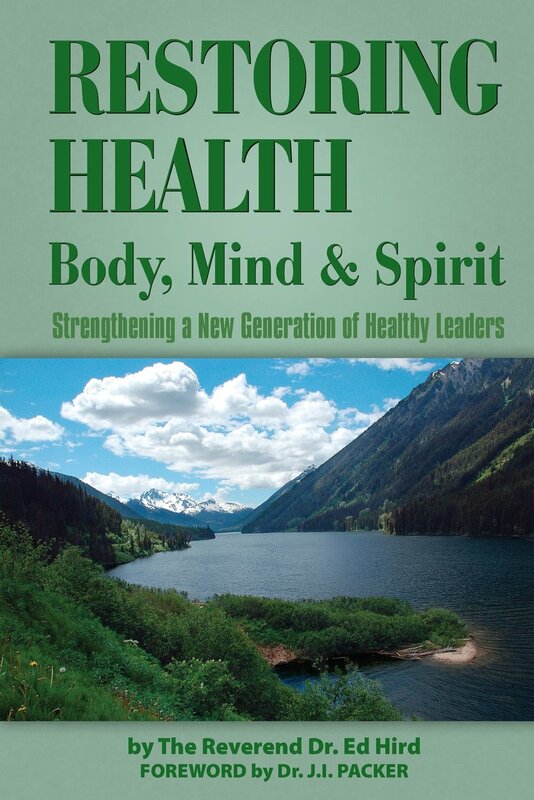 We need to look at health holistically in body, mind and spirit. The Good Book says ‘Above all else, guard your heart for out of it are the issues of life.’ Our ‘heart’ refers to the core of our personality, our identity, whom we really are. Many people have invested so much into keeping other people happy that they have very little idea whom they really are. They confuse their core identity with their latest job, their education, their bank account or relationships, all of which may be very transitory. The Good Shepherd said “Out of the heart, the mouth speaks”. Sometimes in the disappointments of life, our heart can turn hard, like a stone. Our hearts need melting, so that they can become soft again. When our heart shuts down, we stop caring. We slip into cynicism and bitterness. God does not care about how good we look on the outside. He goes to the heart of the matter. God wants a genuine relationship with each of us. It has been said that Jesus died on the cross from a broken heart. He poured out his heart of love for each of us from Calvary’s tree. Most Canadians believe in God, but we can easily keep God at a distance. God is into intimacy. God wants us to open our hearts to his love. This love can never be forced. It can only be offered. When we open our hearts to the Father’s love, something happens at the core of our being. When I was age 17 in the last few months of Grade 12, I had a life-changing encounter with the Father’s love. Suddenly my heart, my core personality, was powerfully changed. I was a new creation in Christ. I had a new purpose and reason to live. Within a week, I felt a call to be an Anglican priest. My grandmother and mother had known for years that I would become a priest. I was going to become an electrical engineer like my father. God touched me at a heart level. I had been going to church for many years, but nothing had connected. Love changes everything. When I finally understood that God loved me deeply, I was undone. My whole world was turned undone. God loves you just as much as he loves me. God is waiting to touch each of us at the heart level. The heart of the matter is our heart. My prayer for those reading this article is that each of us will open our hearts to God’s amazing love for each of us. Categories: Uncategorized | Tags: appearances, heart, Jesus, King David, Samuel | Permalink.